Blasting our way through January and already more games are coming out for the C64, as just a hint of what's to come through the rest of 2018. 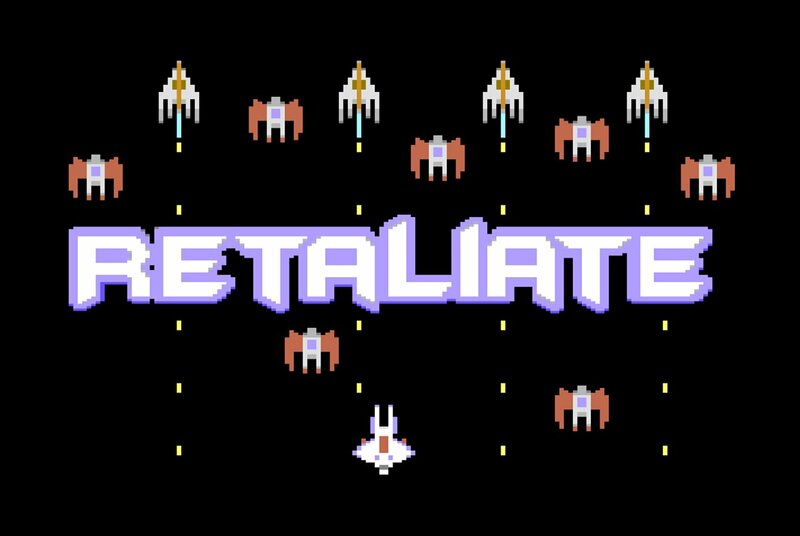 The first game we just had to give a shout out to, is Marcelo Cabral's brand new remake for the C64 which is called 'Retaliate', originally created by Romans I XVI. 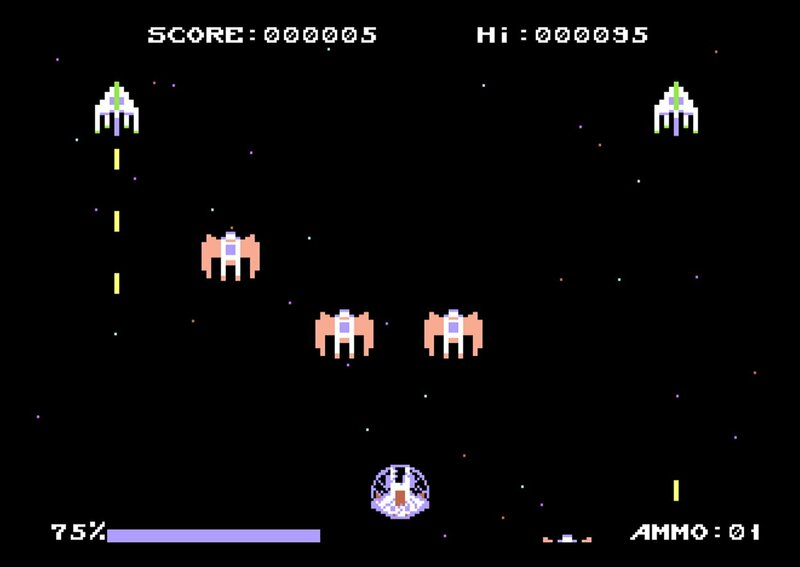 This game is a remake of the Roku shoot em up of the same name, as one of the most successful games for that platform ,which is similar to Space Invaders, Galaxian and Galaga but instead features an unusual game mechanic. You see unlike the brilliant and very classic games that are well worth playing today, in Retaliate you start with no bullets at all, and the only way to survive is by using your shield to not only defend yourself from being destroyed in one hit, but the shield can also collect enemy bullets and be used to retaliate back against them. Just be aware however your shield isn't an unlimited, because the more you use it, your energy will drop and need to be replenished. Retaliate is a pretty decent game even at this early preview stage, it doesn't seem to feature any music as of yet with mainly sound effects to keep you company, but there is still enough gameplay there to keep you occupied well into the evening. There are ships to destroy, you have to think about how much shield energy you need to use either to save yourself from destruction or the collection of bullets, and there's a high score count as an extra challenge through difficult enemy waves to keep you wanting more.